[Anton] recently acquired a broken Nintendo 3DS. When the power button was pressed, the device would start booting up only to shut back down after flashing a blue light and making a popping sound. It turns out this problem is pretty common with the 3DS. [Anton] could have tossed this device into the landfill, but where’s the fun in that? Instead, he cracked the device open like any self-respecting hacker would. It didn’t take him long to discover two broken flex ribbon cables. [Anton] could have then searched for replacement cables, but his inner hacker told him he could repair this himself. He carefully scraped the insulation off of the broken traces and then soldered on some hair thin wires to bridge the gap. All that was left to do was to glue the wires securely in place and feed them back through the hinges. This project is a great example of how a little determination and know-how can keep a useful device from the landfill. 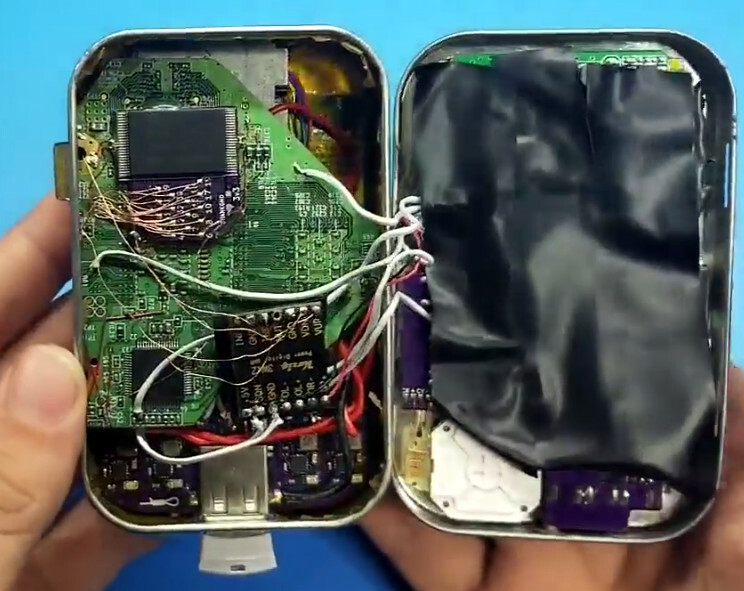 If you attempt this repair yourself, you may find this 3DS teardown to be a helpful reference. What devices have you been able to save from an untimely demise? Wanting to display his Google calendars [Chris Champion] decided to mount an old monitor on the wall. The hack is his installation method which recesses both the bracket and the outlet while still following electrical code (we think). Since we’re already on the topic. Here’s a hack-tacular project which hangs a laptop LCD as if it were a picture frame. 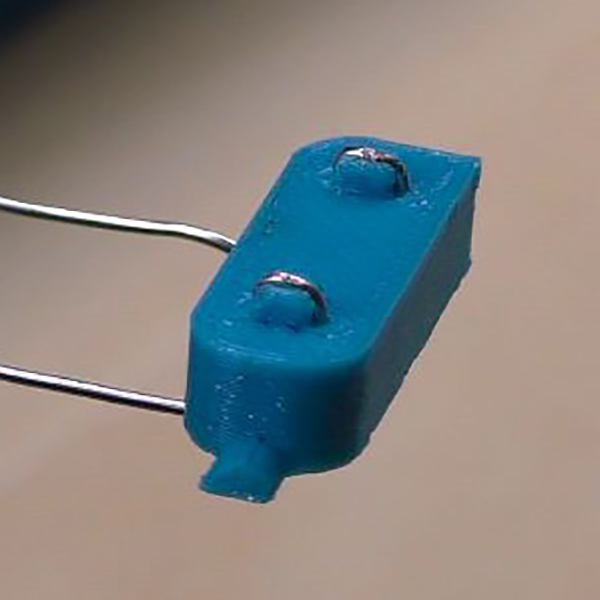 We do really enjoy seeing the wire, which connects to the top corners and hangs from a single hook a few inches above the screen bezel. There’s something very “whatever works” about it that pleases us. [Jaspreet] build a datalogger in an FPGA. He put together a short video demo of the project but you can find a bit more info from his repo. He’s using a DE0-Nano board which is a relatively low-cost dev board from Terasic. 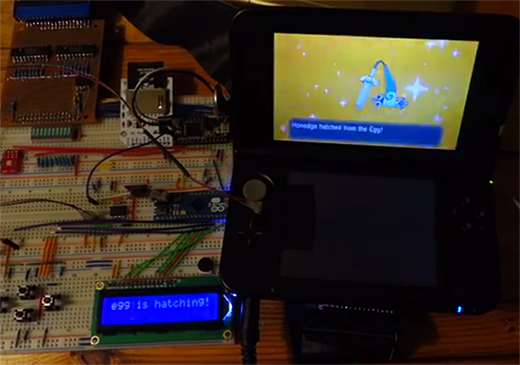 Want to see what’s under the hood in the processor running a Nintendo 3DS? Who wouldn’t? [Markus] didn’t just post the die images taken through his microscope. He documented the entire disassembly and decapping process. Maybe we should have given this one its own feature? If you’re streaming on your Ouya you definitely want a clean WiFi signal. [Michael Thompson] managed to improve his reception by adding an external antenna. We always like to hear about the free exchange of information, especially when it comes to high-quality educational material. [Capt Todd Branchflower] teaches at the United States Air Force Academy. He wrote in to say that his ECE383 Embedded Systems II class is now available online. All the info can also be found at his Github repo. And finally, do you remember all the noise that was made about 3D printed guns a while back? Well [Mikeasaurus] put together the .iStab. It’s a 3D printed iPhone case with an integrated folding blade…. for personal protection? Who knows. We think it should be a multitasking solution that functions as a fold-down antenna.